Integrex i400S is part of Multi-Tasking machine categoy. Multi-Tasking stands for its capacity to combine several machining operations in one cycle, by guaranteeing high accuracy and high quality. This machine tools has the ability to mill and turn, combining other processes and performing parts machining from the raw material to finished components in a single setup. The benefit in terms of competitivity, efficency and part quality is significant why it reduces inaccurancies in moving parts across almost 4 workstations/machinists. 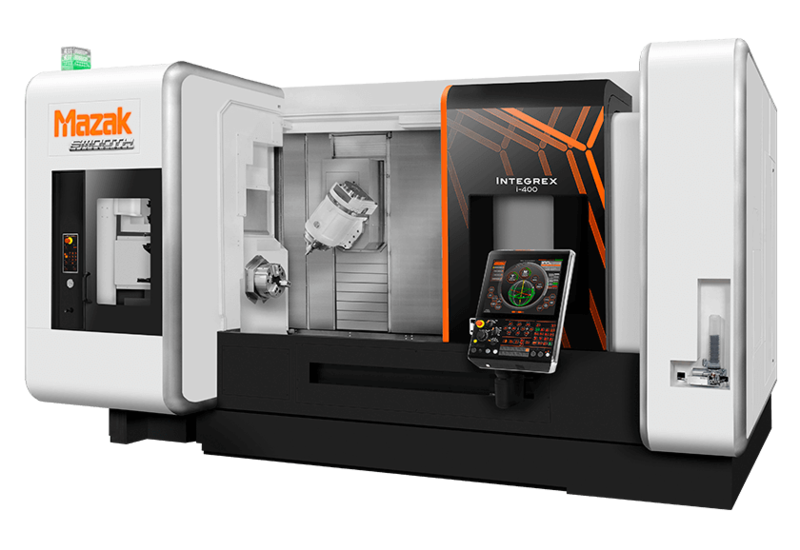 Integrex i400S series can machine small and medium-sized parts, and parts features with max. turning diameter 658mm, axis travel Z 1585mm. It performs wide solutions than other multi-tasking machine-categories since it delivers a troughput for medium as well as large complex parts.